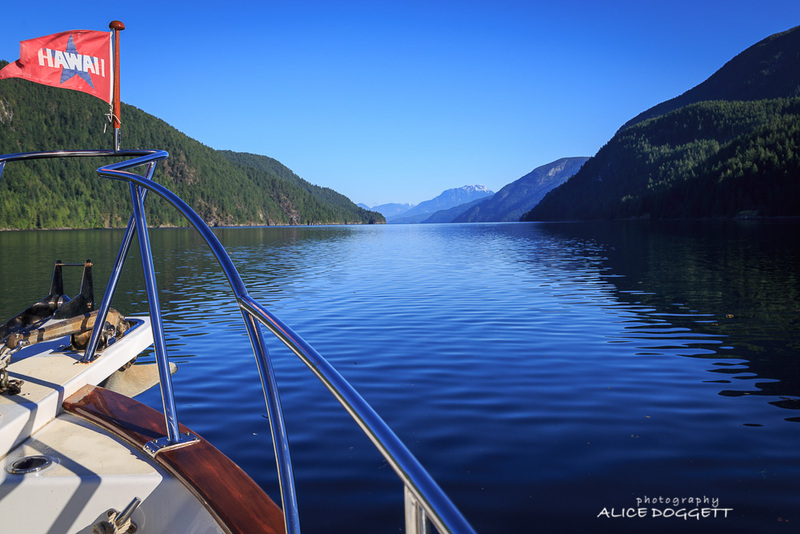 Cruising With Phoenix | Alice & Jim's boating adventures …at sea and in port. Cruising up Lewis Channel in Desolation Sound a couple of years ago. Thought we might be out in the wonderful B.C. cruising waters this summer, but fate seems to have other plans. Well, we thought we might be able to do some cruising this summer while we were staying on our boat during the time our house was on the market. Seemed like a good strategy to get out of the house so it would stay cleaned up and show better. But sometimes things don’t work out the way we plan. Can It Already Be August? 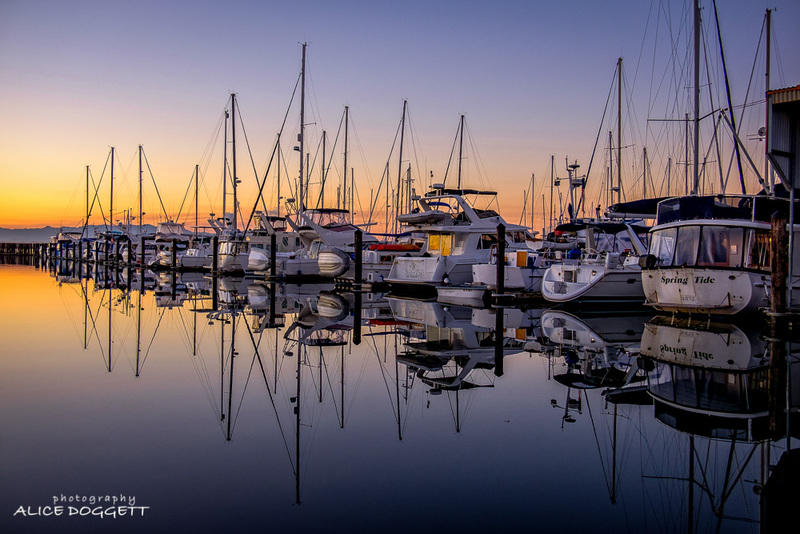 A serene early morning at Anacortes Marina—quiet and glassy calm, resulting in mirror-like reflections of the boats on C Dock. Life can be challenging at times. Even though we wanted to take a long cruise this summer, we have had to take care of business before we can take off in the boat. We recently decided it’s time to downsize our house, and we’ve been busy for the past several months fixing things and sprucing up the house so we can sell it and move on. We have finally completed the work we needed to do before putting our house on the market, and we have come to stay on our boat while the house is on the market. 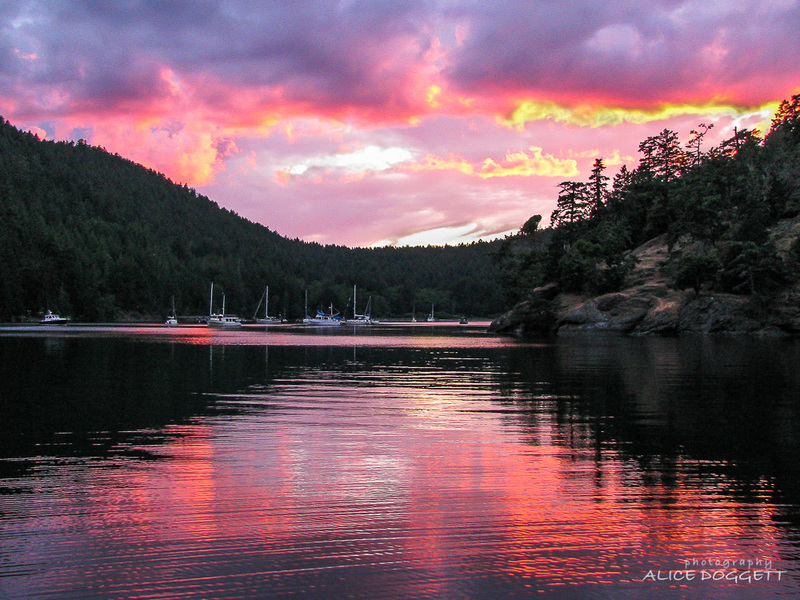 A spectacular sunset at Reid Harbor, Stuart Island, our favorite quiet anchorage in the San Juan Islands. This week Cruising With Phoenix reached 20,000 views! Thanks to those of you who are following our blog and to all the others who end up here looking for information about boating or cruising in the Pacific Northwest! 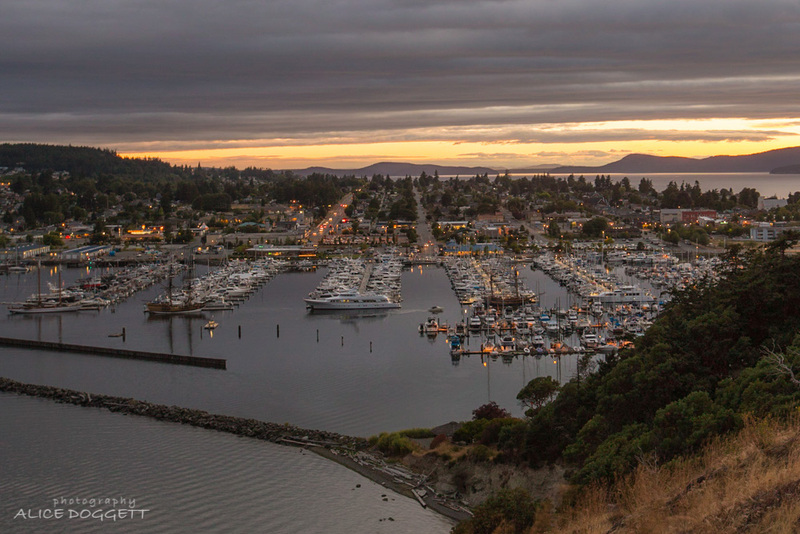 The lights of Cap Sante Marina and the City of Anacortes from the top of Cap Sante. The San Juan Islands are in the background behind Guemes Channel. While we were waiting for the window on our boat to be fixed, we stopped at Larrabee State Park one day on our way back from shopping in Bellingham. 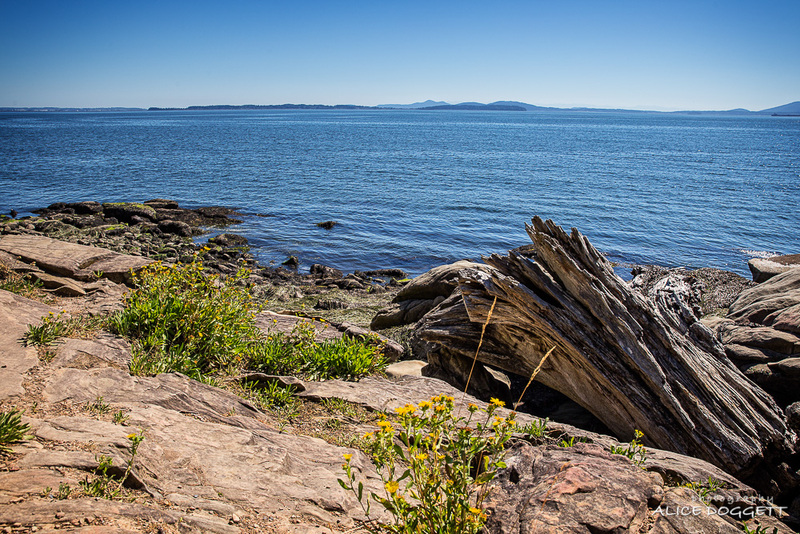 Larrabee was established in 1915, and is the first state park established in Washington. It has good hiking trails and a great beach for swimming or just walking along the beach. There are wonderful views of Northern Puget Sound and the San Juan Islands. It was hot the day we stopped there, and the water looked like the perfect day for boating! We always enjoy hanging out around the boat. Even though we hadn’t planned to come to Anacortes Marina the first part of July, it’s been fun to be at the marina while we waited to get new glass made for our broken window. The weather has been great, and we enjoyed making progress on some of our maintenance projects. It’s so nice to get the exterior teak cleaned! This photo shows the swim step on our stern when it was half done. What a difference! What to do while we wait for the new window glass? Clean up the boat! Jim used plastic sheeting to cover up the broken window so that we could safely spray water on the outside of the boat. 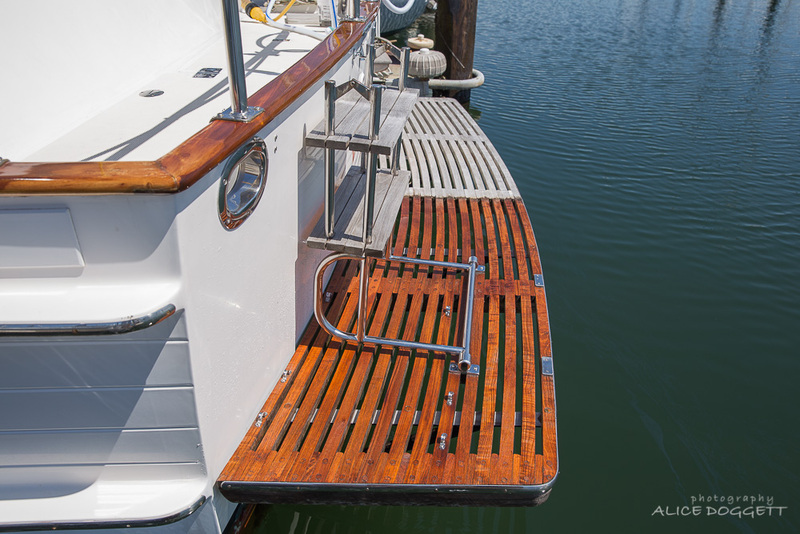 He gave Phoenix a much-needed washing, and I had a chance to tackle the exterior teak. Note: You can click on any of the photos on the post pages to enlarge them.